Royal Wheels India is an adventure travel group organising Buddhist Travel Package in India. 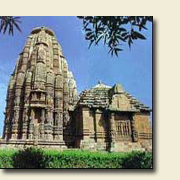 Places to visit: Mumbai - Aurangabad - Bhopal - Sanchi - Agra - Varanasi - Bodhgaya - Patna - Gorakhpur - Balrampur - Lucknow - Delhi. Arrive Mumbai. Meeting and assitance on arrival andtransfer to hotel. Overnight at hotel. Full day trip to Ajanta Caves.Later transfer to Jalgaon railway station to connect train for Bhopal. Overnight in train. On arrival visit Sanchi. Later transfer to railway station to connect train for Agra.On arrival transfer to hotel. Overnight at hotel. Visit to Mahabodhi Temple and Niranjana river.. Overnight at hotel. Leave for Lucknow enroute visiting Sravasti. Transfer to airport to connect flight for Delhi. Overnight at hotel..
Full day sightseeing of New and Old Delhi. Overnight at hotel..